The first day we had the Citi Prestige, we squeezed a net value of $2025.09 out of it planning a Disney World Vacation. Here’s how we did it, and how you can too! Because of how the holidays worked out in 2017, we decided a nine-night stay in Disney World was in order. We were already set to run the Dopey Challenge, so adding New Year’s Eve to our trip wasn’t a hard decision since it would wind up only costing us one extra day of time off. The money was a bit of a challenge, though. We were adding four nights to a planned five-night trip. Even using all the tricks in our bag for getting the best deal on our hotel, this one was going to hurt. The original five nights at Beach Club were going to cost $3,011.65. Our first thought was just to add four nights to that stay, but boy did that make our bank accounts scream. We would be looking at an extra $2000 or so. At the time we booked this trip, neither of us were Citi Prestige cardholders, but it was time to sign up. 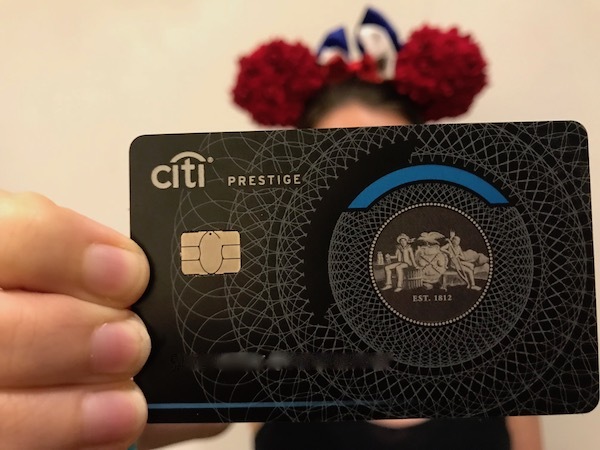 We've called the Citi Prestige the best card for Disney vacations for one simple reason—4th Night Free. The Prestige’s 4th Night Free benefit is pretty much what it sounds like: on hotel stays of four or more nights, you get 25% off the first four nights. We used 4th Night Free to get a free night at Beach Club...and then some! You can’t use 4th Night Free on trips of fewer than four nights, nor can you use it twice in one trip by staying eight days. Disney World, however, is particularly good for the one way you can use 4th night free twice - by changing hotels. Four nights at Animal Kingdom Lodge club level—which we wanted to try since we’ve never stayed there before—came out to $2,502.02. Choosing separate hotels wasn’t just a matter of trying something new, though, it was our key to maximizing the value of the Citi Prestige. By booking at two hotels, we got to use the Citi Prestige’s 4th Night Free benefit on each stay. So our five-night stay at the Beach Club had grown into a four-night Animal Kingdom Lodge stay followed by a five-night Beach Club stay. Using 4th Night Free on those two stays meant a savings of $639.93 on the Beach Club stay and $520.50 on the Animal Kingdom Lodge stay. That’s awesome, as it is already $1,160.43 in savings! We called the Citi concierge and explained that we wanted to make two consecutive hotel bookings. Since they were at different hotels, she didn't even bat an eye and was clear that we'd receive two 4th Night Free credits. Back when we did this, we had to wait for the statement credit to get these savings. Nowadays, when you book 4th Night Free online, the savings are built right into your rate. Our Citi Prestige, great for Disney stays! The Prestige also has a $250 annual airfare credit. Since we had just signed up for the card, we hadn’t used that credit yet. We used it for our flights to Florida, so we’re up to $1,410.43 in savings. Okay, since we got the card for the purpose of booking this trip, we’ve got to take out the $450 annual fee for the card, so we’re down to only $960.43 saved. The signup bonus for the Prestige was 50,000 ThankYou points for $3,000 in spend—easily met by our Disney hotel reservations. Using The Point Guy’s point valuations (as of when we used this hack), those 50,000 points are worth 1.6 cents each for a total of $800. 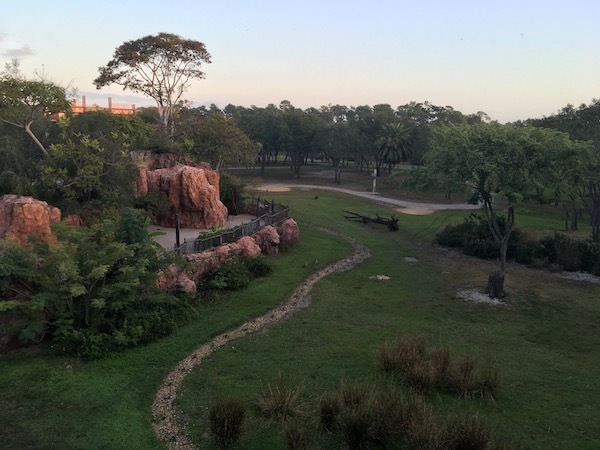 Our Savannah View room at the Animal Kingdom Lodge - our fourth night was free! We also get 3X points for the price of the hotel stays, which is another 16,541 points or $264.66. In total, then, we earned $1064.66 in points booking this trip. You can quibble about the value of Citi ThankYou points, but they are worth a minimum of 1.25 cents when booking flights or 1 cent when redeemed as a statement credit. That means even if you can't find a way to get value out of Citi's many transfer partners, the 66,541 points earned would be worth $831 towards flights. 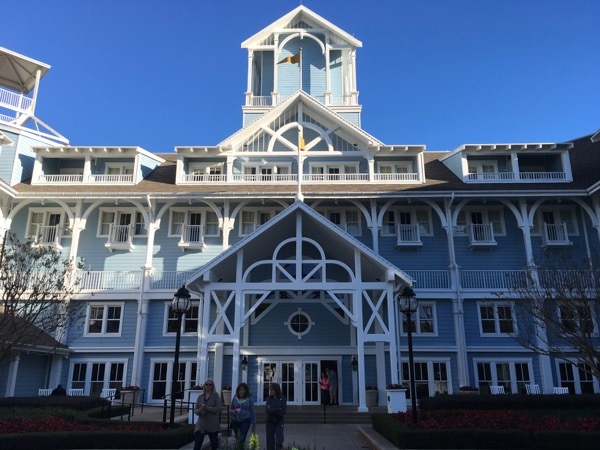 By signing up for and using the Citi Prestige to book nine nights at two Disney resorts, we took a hotel stay that could have cost $5,513.67 and wound up spending (net) only $3,488.58. That’s a savings of $2,025.09 or 37% of the total cost. That’s like having three free nights! Yes, we get that this is still an incredibly expensive trip, but our original stay was going to cost us $3,011.65 for just five nights at the Beach Club. So we wound up spending about $377 more to add four nights of club level! The Citi Prestige doesn't currently have a signup bonus [Checked February 15, 2018], so you'll need to wait until a new one pops up. Recently, they were offering 75,000 points, which is huge! The Citi ThankYou Portal has access to many if not all Disney resorts, including discounted rates sometimes. This should work on most any planned stay of four nights or longer. We'll keep our fingers crossed that Citi brings back that signup bonus in time for you to book your trip! Not sure you're ready for the Citi Prestige? Consider the Disney Visa! Here's our post on the Disney Visa perks you need to know.